Tomorrow is picture day. School picture day. I get my picture taken every year. I’ll be in line early and looking my best for this year’s school picture. Last year, I wore a pink shirt with a blue tie and the year before, a blue shirt and a pink tie; beyond the last two years I cannot remember which year is which. It will be my school ID photo for the next year; and it will be in the yearbook. So, when my students look back on middle school, there I’ll be along with the rest of my colleagues. We got an e-mail from the principal reminding us, but I knew picture day tomorrow. Earlier this week I heard about a story about Dale Irby, a teacher from Dallas, Texas who wore the same outfit for all forty of his school pictures. In the beginning, it was by accident; then, he made a conscious effort to wear the same sweater every year. 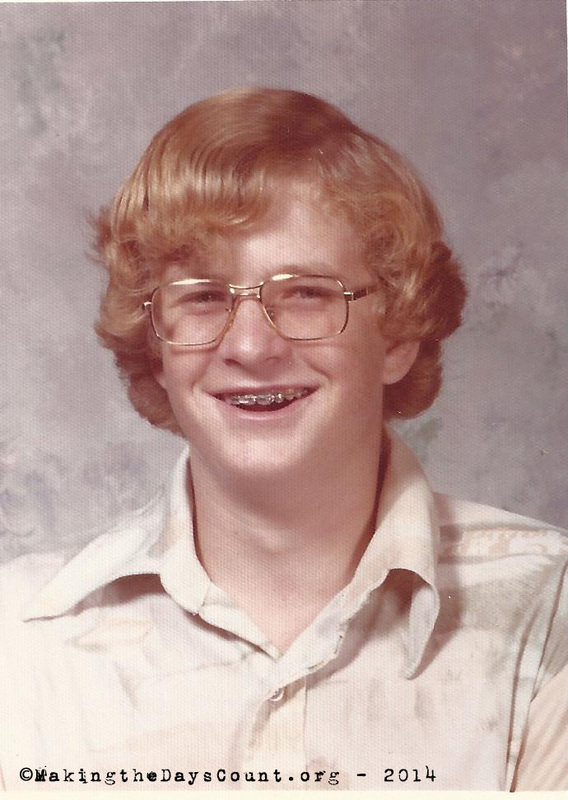 I looked back at my school photos, at least those I could find – and for the most part, I was like Dale Irby. I stuck to the tried and true blue shirt and sensible tie. There were a few ties that weren’t so sensible or more likely it was ‘what was I thinking?’ or ‘did get dressed in the dark?’ I am not sure. The portraits will have to speak for me. Nevertheless, I didn’t stop there. I went back further and found pictures from elementary school, middle school, high school, and college. When I finished college the first time and started working, I stopped having an annual photo taken so there is a gap from 1982 to 1999. It was fun going back in time and refreshing my memory of what I looked like then and now. About the only thing that is different from all of the school pictures is that for the past couple of years, my hair is longer than it was in middle school OR high school. Tomorrow is school picture day and I’ll be ready. Blue shirt, sensible tie, and a great smile. Thirty-nine years ago, I smiled an eighth grade smile and had my photo taken. Today was a great day and tomorrow will be a million and six times better. Making the Days Count, one day a time, one school photo, one lasting memory at a time. When was the last time you went back in time and took a peak at your school photos? Awesome to see you go from trouble-making kid to trouble-making teacher! Seriously, this was fun. I remember my parents getting ticked when I brought my fourth-grade pic home. We took pictures after recess. I wore a football jersey and felt the need to play like a champion that day. My picture revealed a sweaty head and puffed out hair. Ugly stuff! I can only imagine… one year, my daughter wore her glasses one year AND wife nearly stroked out when the picture package came home… hope your watching the game tonight – it looks good. Thanks for stopping in and have a great week! I was at the game in fact – hardly expected Carolina to get drilled like that! I now regret that I didn’t buy the annual ‘mug shot’ of each of my children as they progressed through school. They were expensive, I reckoned, and I had such a lot of potos of them anyway. But this formalised record, exactly a year apart, makes for fascinating viewing, as I now realise. Too late now! we have all of the kid’s photos from school and sports and the photos are somewhere… my mom had all of our photos taken as well…. but I missed my sophomore photo in high school and college… several years ago she brought a collection of photos along a visit and left them with us.. I go back in time occasionally. But I have far more photos of my family than ever – digital cameras and having a portable device that allows me to take a fairly good photo any time I want makes it easier than ever! Have a great weekend – those Welsh houses are quite colorful. My old school pics I was a chunky fat kid. With a nerdy haircut.Some of them I want to burn! That’s why you didn’t see ALL of my pics! Thanks for dropping in – have a great weekend. thanks! I showed the kids my photos and they enjoyed the show. I didn’t pick all of the photos i have from my teaching career some were not so good… I like how I look with longer hair. Truly. Last year I shaved the goatee and went for the mustache for MOVEMBER, I’ll be doing it again this year. It’s gonna be a great week! This is so GREAT!!!! I love your photos. I don’t have many of my school pictures. I’m not sure why. My mom must not have bought all of them. I do remember my 2nd and 5th grade photos. I made sure I bought every one of my kid’s class pictures!